Aruba is a tiny island nation in the Caribbean region. It is a constituent of the Kingdom of Netherlands, which is one of four in the Caribbean Islands. The other overseas Dutch territories within the Caribbean are Curacao and Saint Maarten. When you travel to Aruba, you will be left in awe by the natural beauty of this island. The climate in Aruba is dry and arid. Meanwhile, the landscape is strewn with cactuses. The climate is part of the reason why tourists flock to Aruba all year round. This means that tourists can enjoy warm and sunny weather nearly throughout the year. As of the 2010 census, there are over 102,000 people living in Aruba. The island of Aruba does not have major cities. 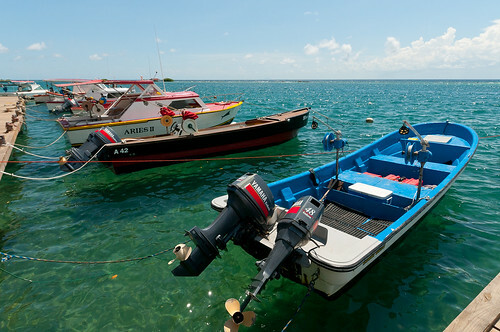 Instead, the island is divided into six towns: Oranjestad, San Nicolaas, Savaneta, Paradera, Noord and Santa Cruz. Due to the low unemployment rate in Aruba, it enjoys a standard of living that is higher than most other Caribbean nations. 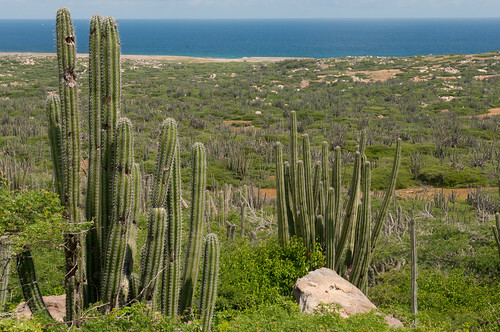 Aside from tourism, the major industries of Aruba include phosphate mining, aloe exporting, gold mining and petroleum refining. Official Language: There are two official languages in Aruba: Dutch and Papiamento. Wi-Fi Availability: If you are looking for free Wi-Fi when you travel to Aruba, you can find most of them at hotels and resorts. Airport/s: The Queen Beatrix International Airport is the main hub for international flights to and from Aruba. Driving: In Aruba, you will be driving on the right side of the road. International Driver’s License Accepted? You can use foreign issued and international driving licenses in Aruba. Crime: The high employment rate in Aruba is attributed to the lowest crime rate in the Caribbean region. However, petty crimes can still occur and tourists are advised to be especially cautious (especially those traveling or exploring Aruba alone). Common crimes include theft in hotel rooms and rental cars, so you have to be very careful. Electrical Adapters: Aruba has the same electrical voltage as in North America, so if you are traveling from the US there is no need to bring an adapter or voltage converter. 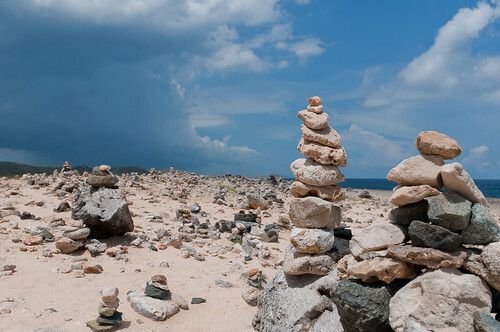 Trivia: Despite being only almost 75 square miles in size, Aruba attracts over 800,000 tourists annually. Tourism is no doubt one of the top industries in the country. Eagle Beach – Eagle Beach is popular with tourists for its low-rise resorts and public beach. Aside from that, it features a soft white sand beach that is lauded as one of the best in the world. Druif Beach – Another popular beach destination for tourists in Aruba is the Druif Beach. This is a promontory on the island that has white powder sand beach and calm waters that are great for swimming. Palm Island – This is a small and private island in Aruba. In order to get to Palm Island, you need to ride a ferry for 5 minutes. There is also a water park along with a pristine beach on the island. California Lighthouse – This lighthouse located near the Arashi Beach in Aruba is one of the most notable landmarks in the island. It also represents the northwest tip of the island. The lighthouse was named after a steamship that was wrecked in 1891 near where the lighthouse stood. Alto Vista Chapel – This small Catholic chapel is a notable attraction and landmark in Aruba. It is commonly referred to as Pilgrims Church. The chapel is located on top of a hill in the town of Noord. 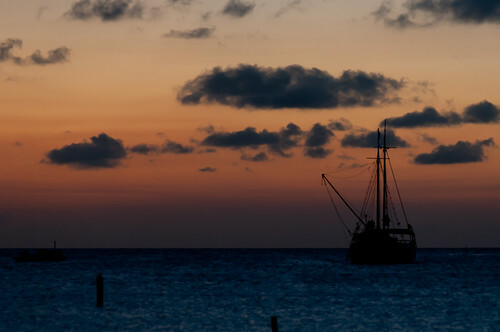 Before the discovery of the Spaniards, Aruba’s cuisine stayed true to its native culture. When the Spanish occupation began, they had a huge influence on the cuisine in the nation. They introduced their recipes and ingredients to the locals. And then eventually, the Dutch acquired Aruba and introduced their flair into the Aruban cuisine, too. Hence, you will notice there are a lot of influences from Dutch and Spanish cuisine in Aruba’s food culture. A traditional dish in Aruba would comprise of a goat meat, fish or maize. They also like cooking vegetables and in stew pots. Aside from the ingredients mentioned above, the locals like to use beef, chicken and fish in their cooking. The popular dishes in Aruba include Cool Island Soup, Stoba (a stew made from lamb or goat meat), Pastechi (stuffed turnovers cooked with cheese or meat), Keri Keri (a dish cooked with basil leaves, celery, green pepper, fish and onion), Cala (cooked bean fritters) and Ayacas (meat rolls wrapped in vegetable leaves).